This breezy crocheted throw is a must have for year round comfort! Crafted in a wool-acrylic blend yarn, this throw is incredibly soft...breezy enough for the summer but perfect for adding a layer of warmth in the colder months. It measures 55 x 47 inches and should be hand washed. 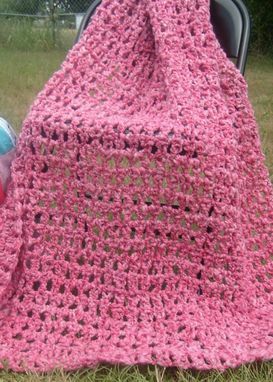 Just perfect for breezy summer evenings on the porch or an anytime light blanket when you need a bit of warmth and comfort!